Natalie Zea has landed a role on one of the most anticipated fall pilots: Kevin Williamson's Fox drama about a series killer (James Purefoy) who creates his own cult of fellow murderers and is tracked by a FBI profiler (Kevin Bacon). Zea will play the killer's ex-wife, raising questions about her future on Justified. 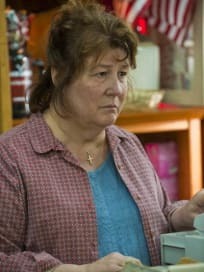 More Justified news, sort of: Emmy winner Margo Martindale has been cast as one of three sisters running a family diner in West Texas on ABC's Counter Culture. Doris Roberts is also on board for the project, which sits in "second position" to A Gifted Man for Martindale in case that CBS drama gets picked up. 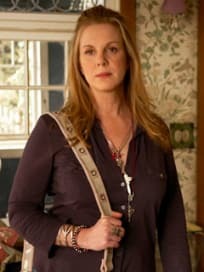 The ABC sitcom How to Live With Your Parents for the Rest of Your Life has cast former Weeds scene-stealer Elizabeth Perkins in the role of Sarah Chalke's mother. This comedy stars Chalke as a divorced single mom who moves back in with her folks. David Arquette is now on board for ABC's The Smart One. He'll play the husband to Malin Akerman's Candy, who represents to dimmer half of two sisters; Portia de Rossi anchors the series as the woman referred to in the title. Dane Cook will make a return to the smalls screen on NBC's Next Caller Please. 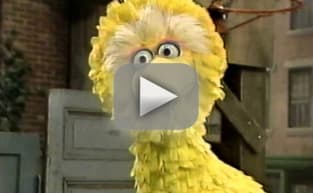 He'll portray an abrasive New York radio host who teams up an up-and-comer from Colorado. Cary Elwes will join Prairie Dogs, the ABC sitcom that features Kal Penn as an office drove whose identity is stolen. The beloved Princess Bride star will portray this character's eccentric boss.